The Bermuda Audubon Society is encouraging the public to take part in the inaugral Global Big Day today [May 9], which aims to see how many of the world’s 10,000+ bird species can be seen and entered into online tracker eBird. Those wishing to take part will need to register an eBird account on the official website. 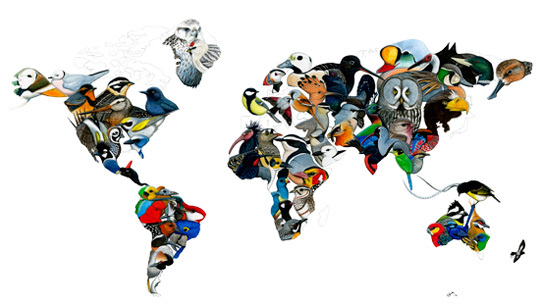 The eBird website says, “May 9th is the inaugural Global Big Day, where eBird and the Cornell Lab of Ornithology are hoping to engage a worldwide network of birders to go out and count birds in support of global bird conservation. President of the Audubon Society Andrew Dobson said, “The Bermuda Audubon Society is inviting members of the public to take part in the ‘Global Big Day’ on Saturday 9th May being organized by Cornell University’s Lab of Ornithology. “Countries from all around the world are participating in the event, with the aim of seeing and recording at least half of the world’s 10,000+ bird species. “The Cornell Lab established and maintains the largest data base of bird records in the world created by citizen science. President of the Audubon Society, Andrew Dobson said “Anyone can access the data base at www.ebird.org. and then create your own free account and enter your records. “Millions of records are in the database from observers all over the world. In Bermuda, more the 100 users have already entered thousands of checklists of 383 different species. It’s a great way keeping a record of the birds you see in Bermuda or when you go to other countries.